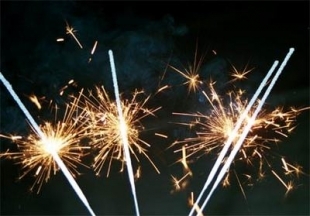 No Bonfire Night would be complete without sparklers. They are reasonably priced and lots of fun. Be safe with them - keep them at arms length, make sure you are wearing gloves, and have a bucket of water near by to put them in when they have burnt out.